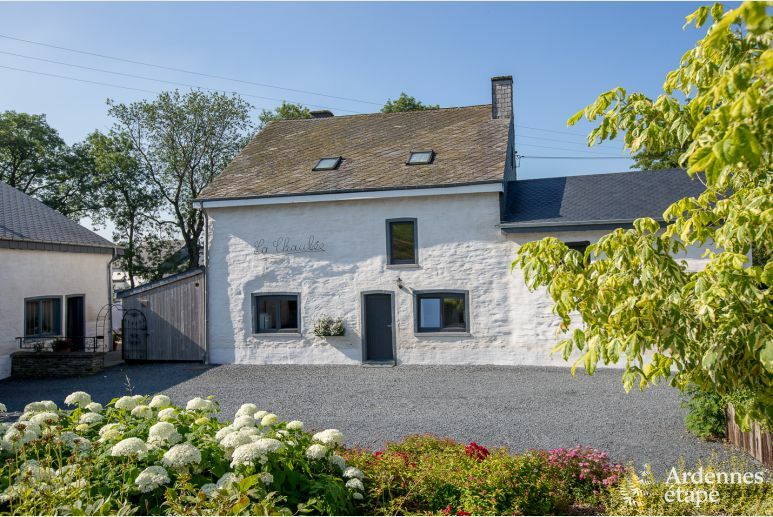 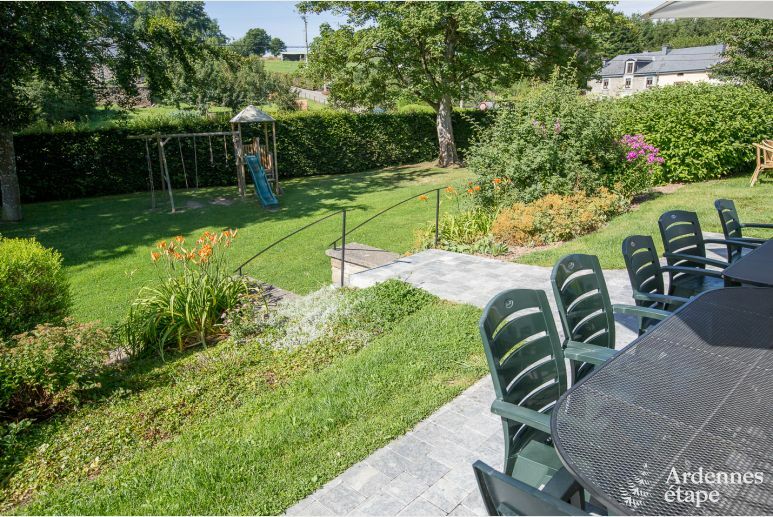 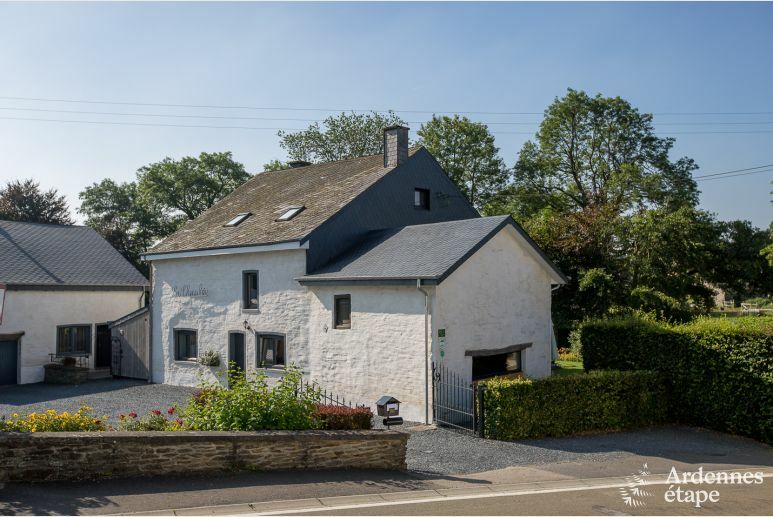 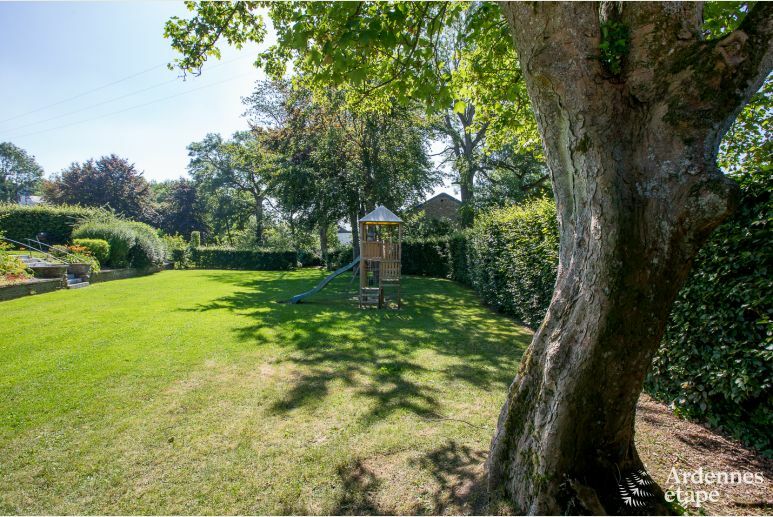 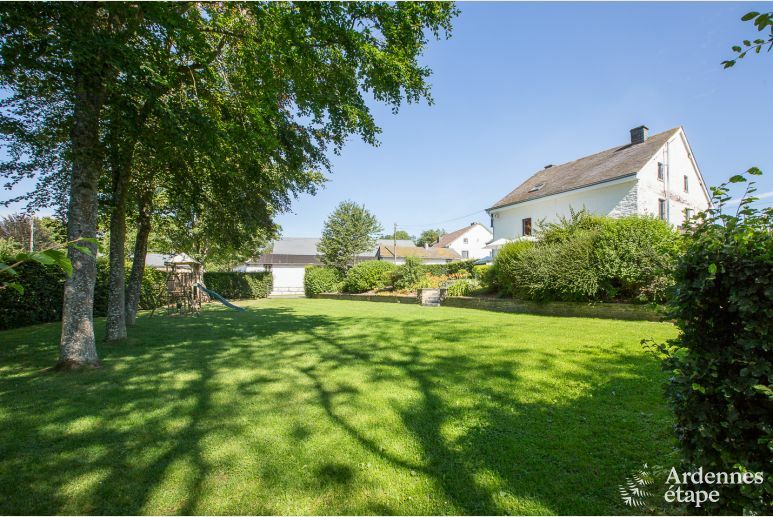 Set in a rural location in Gouvy in the province of Luxembourg , this lovely renovated farmhouse features a stream running through its garden and it’s ideal for group stays in the Ardennes. 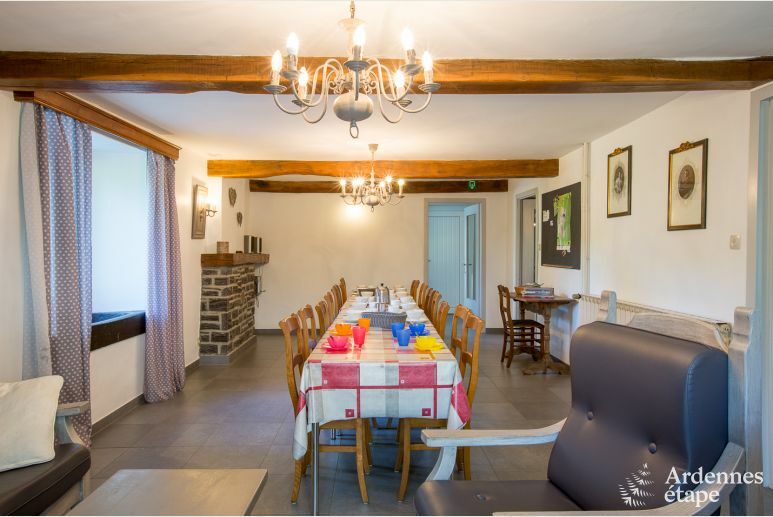 Do not hesitate to call the Traiteur Saint- Martin to sample the tasty local cuisine at great prices! 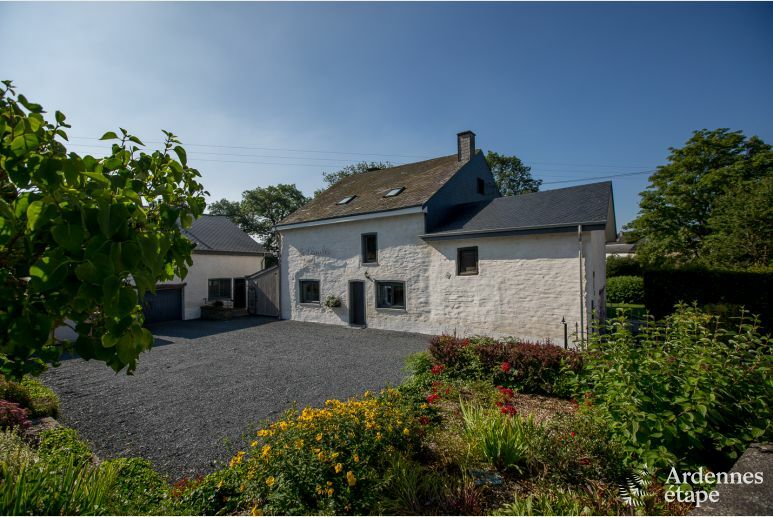 Set in a rural location in Gouvy in the province of Luxembourg, this lovely renovated farmhouse features a stream running through its garden and it’s ideal for group stays in the Ardennes. 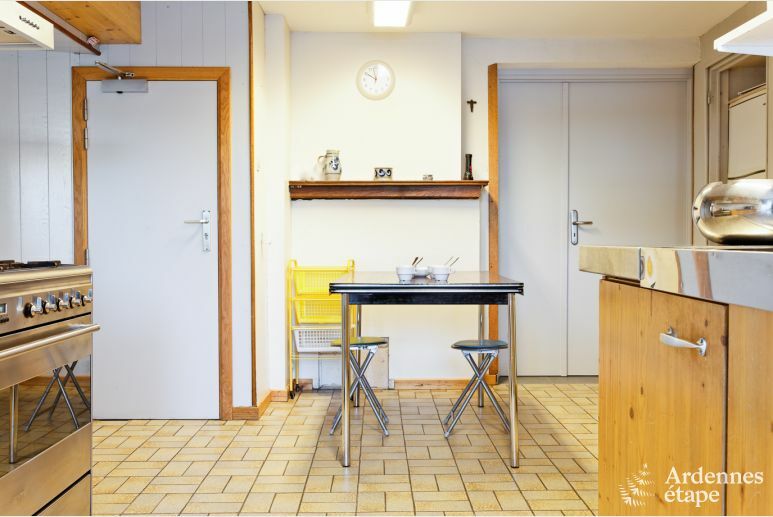 This charming holiday home has large living spaces. 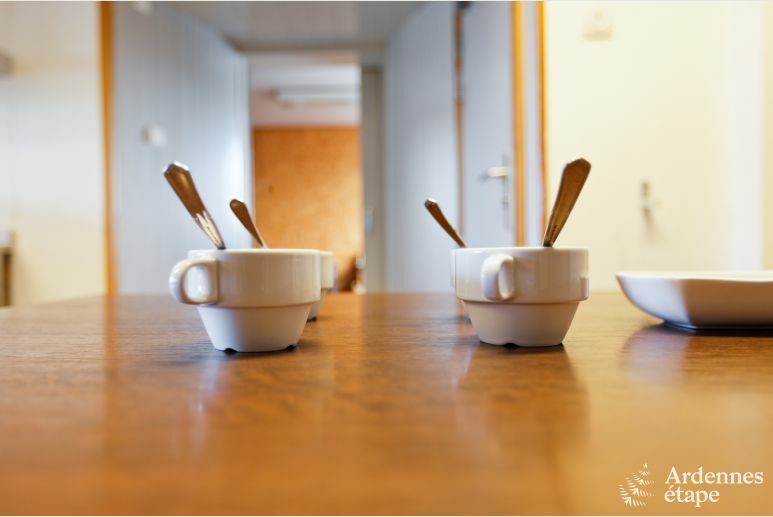 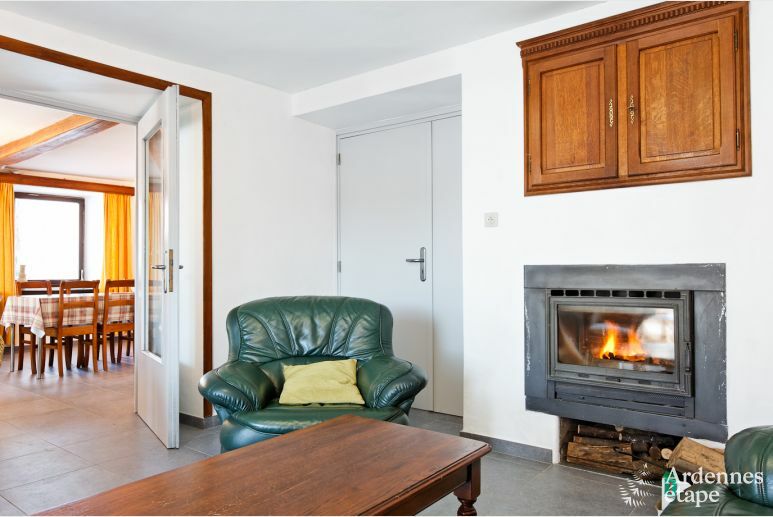 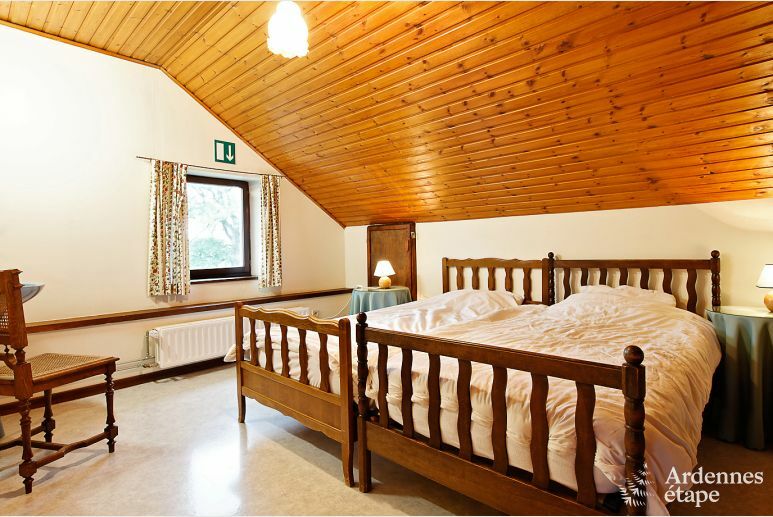 With its two living rooms and a nice inviting dining room, it is perfect to spend a pleasant stay with a group of up to 17 people. 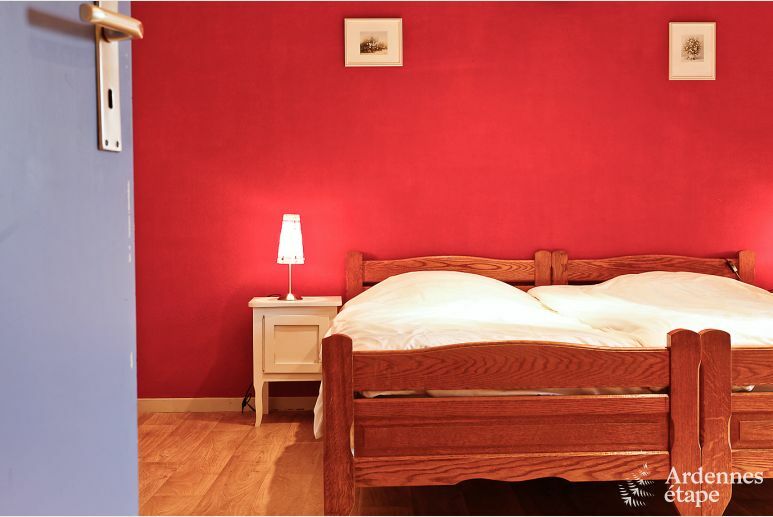 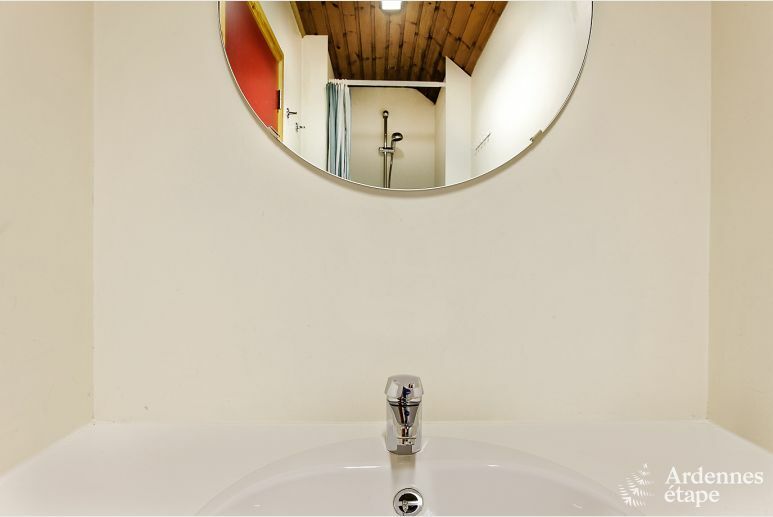 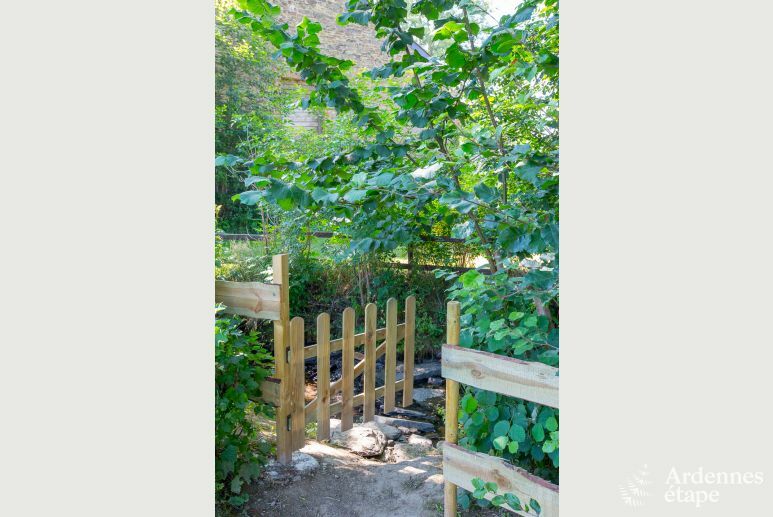 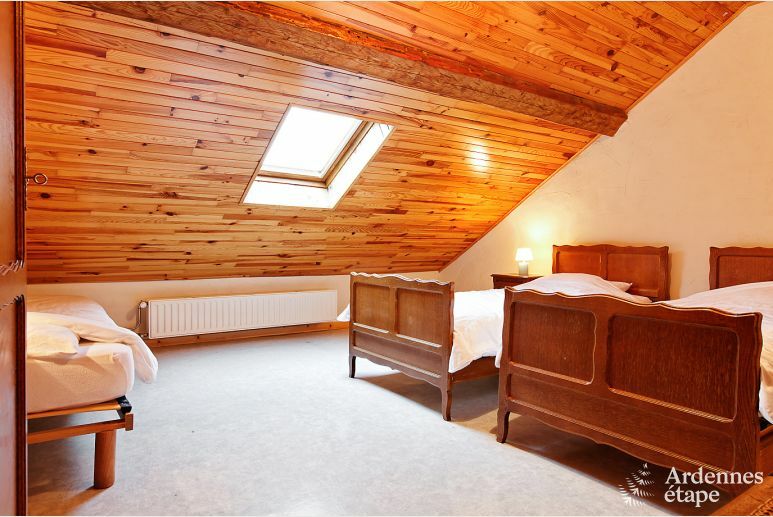 This lovely holiday cottage boasts seven bedrooms and four bathrooms to accommodate all your needs. 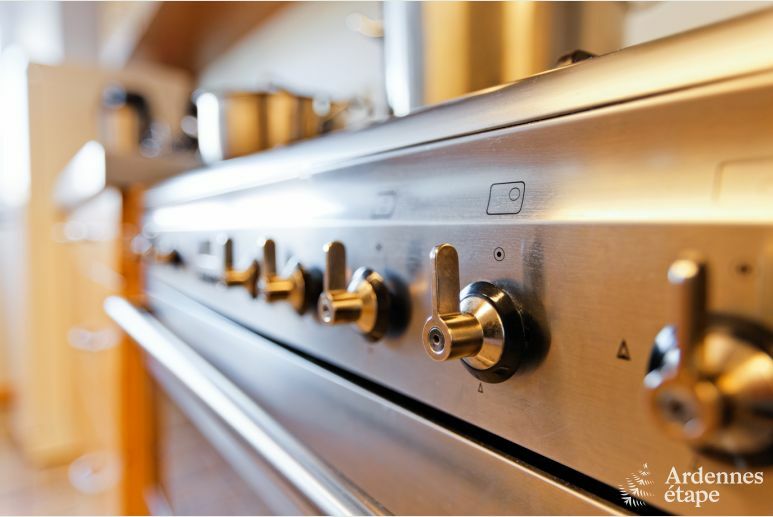 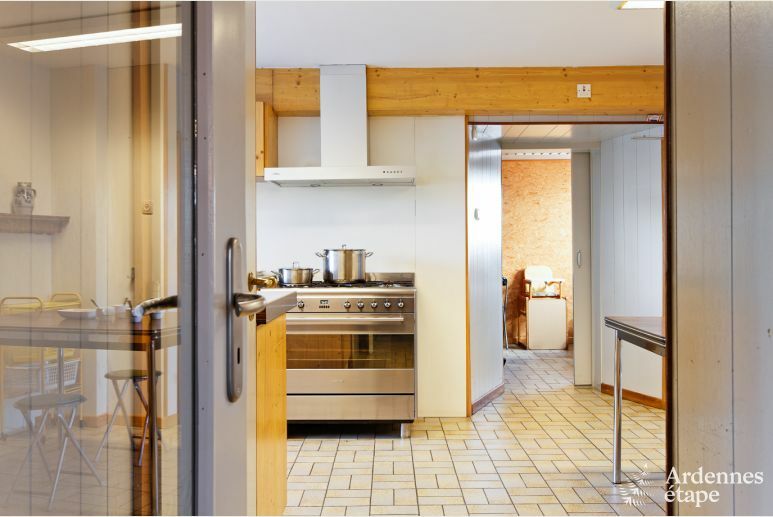 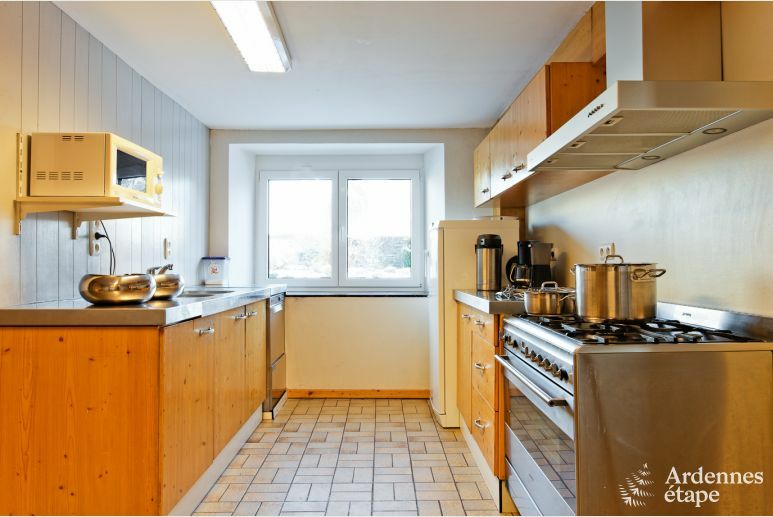 And cooking great meals to share with your group will be easy in the professional kitchen of the house. 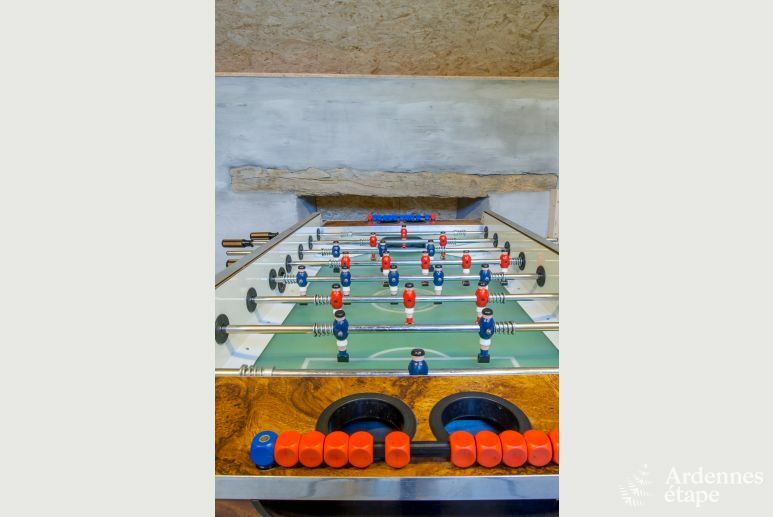 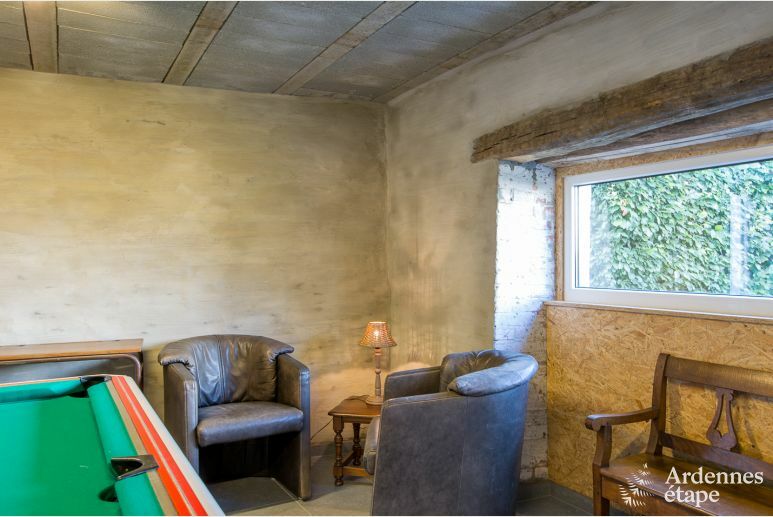 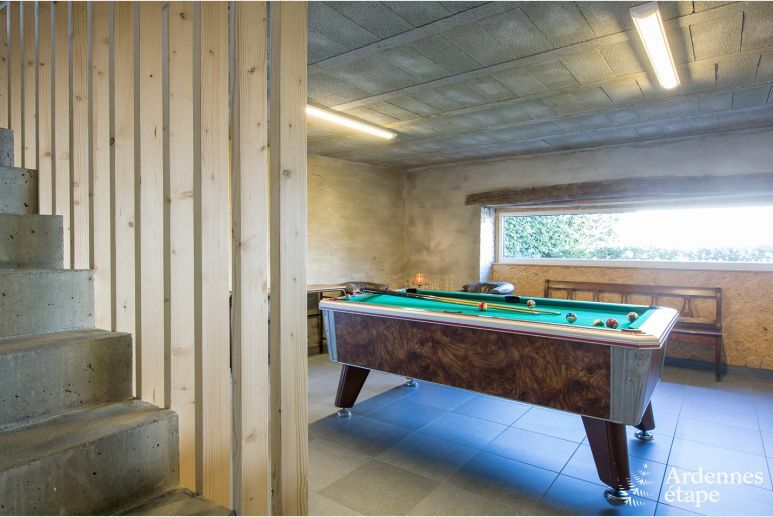 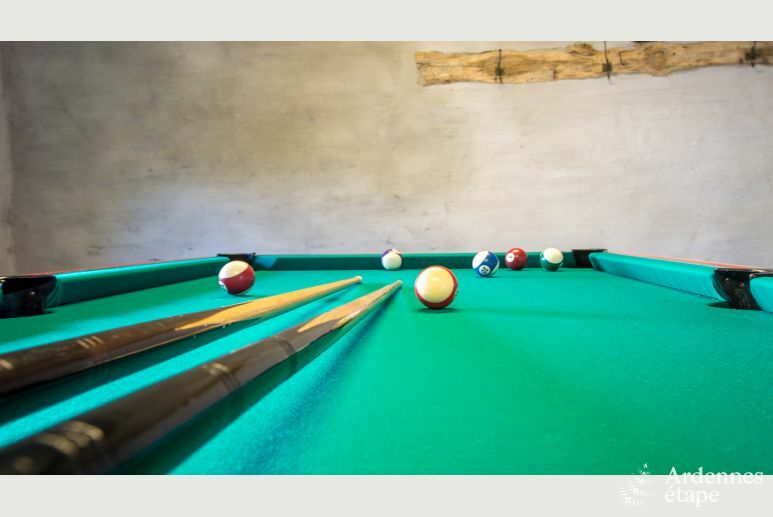 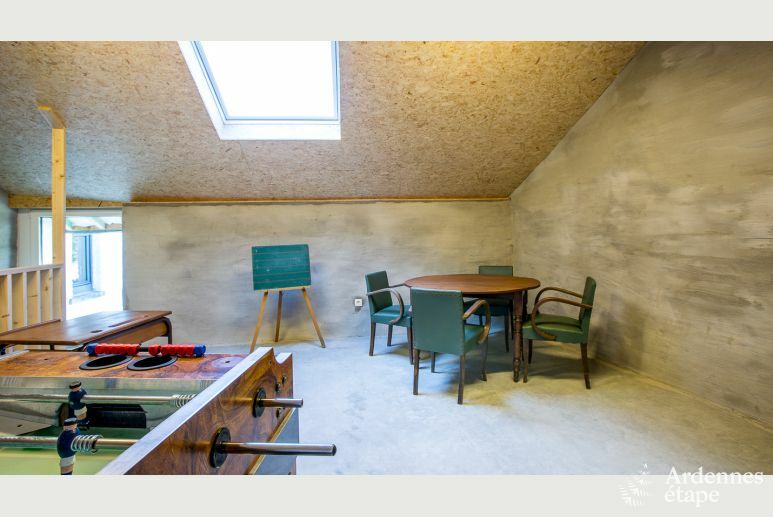 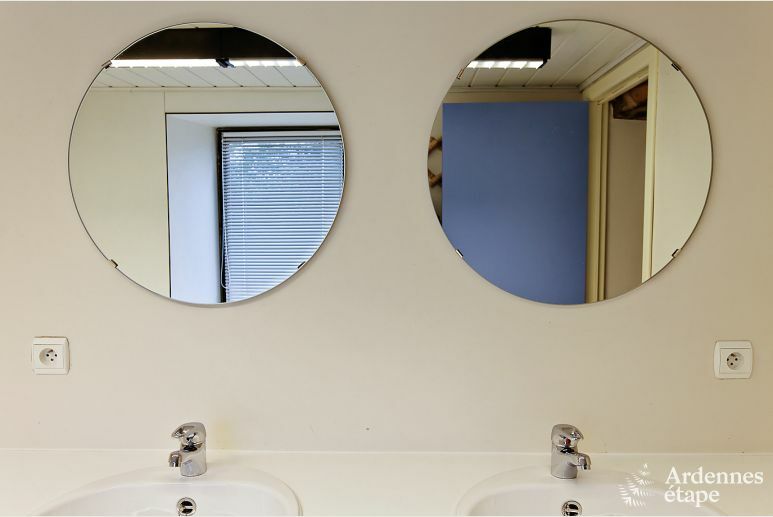 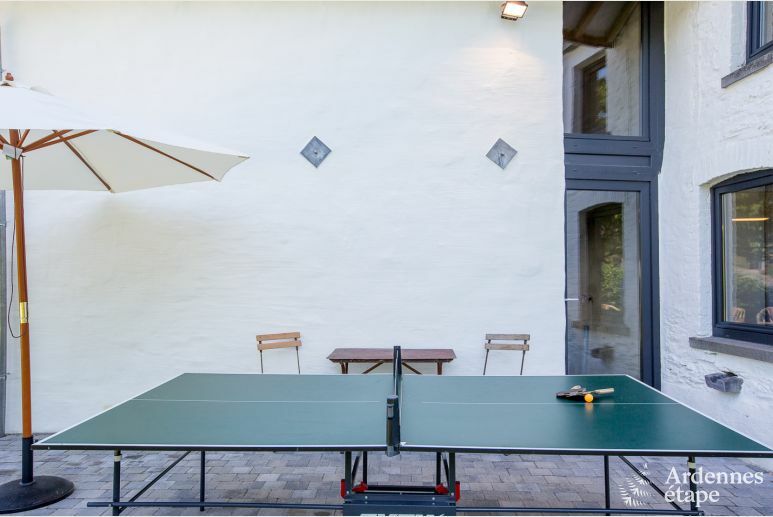 After, you can have some fun in the games room, which features a billiard table, table football, and table tennis. 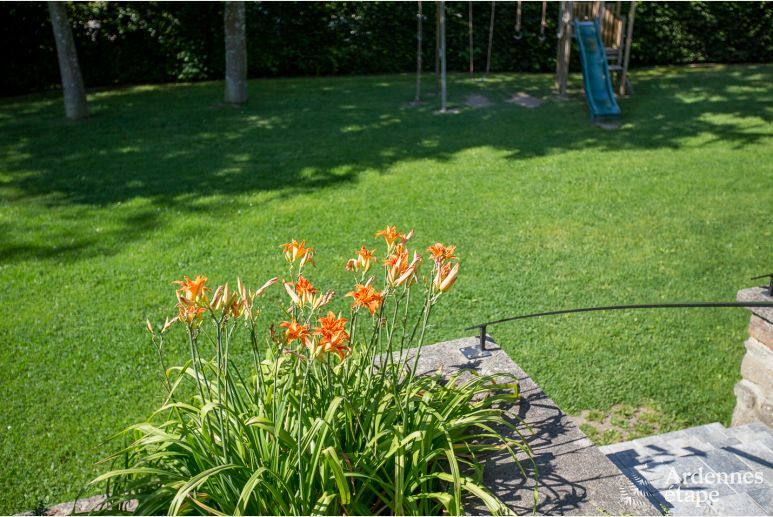 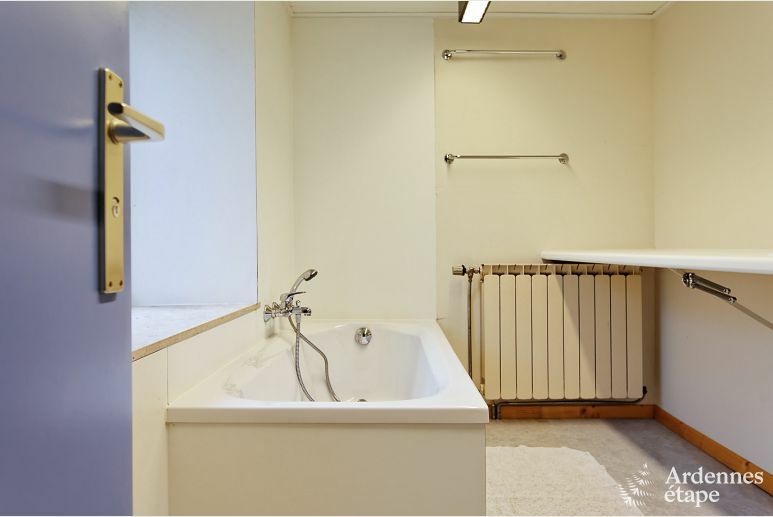 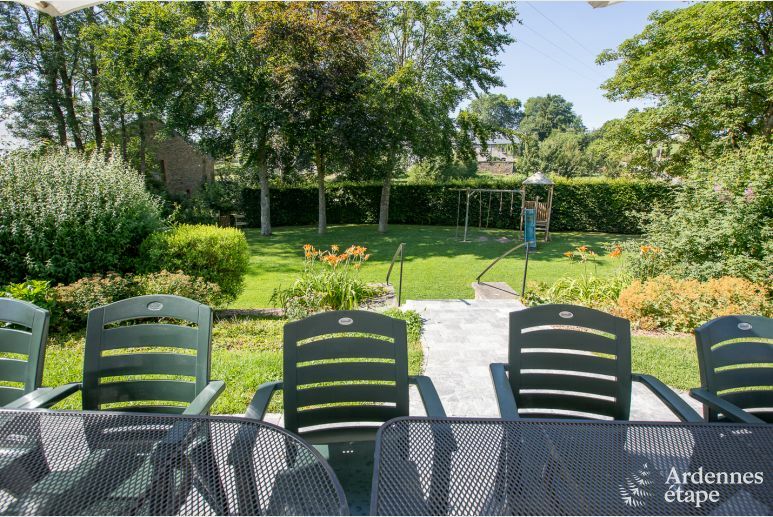 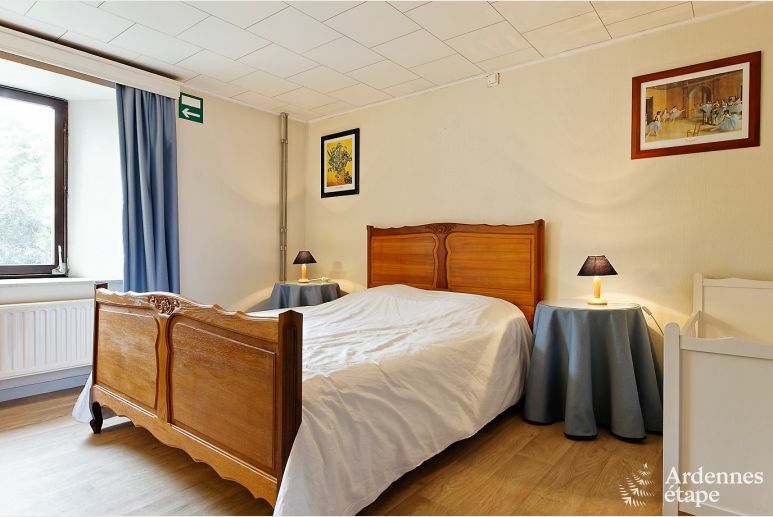 The large private garden has an area of ​​1200m². 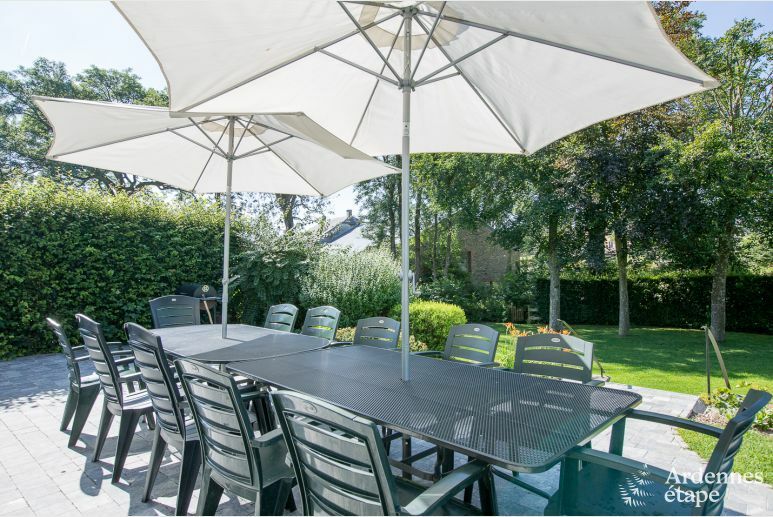 There you will find all the necessary outdoor furniture plus a barbecue, so you can enjoy being outside on those beautiful warm evenings. 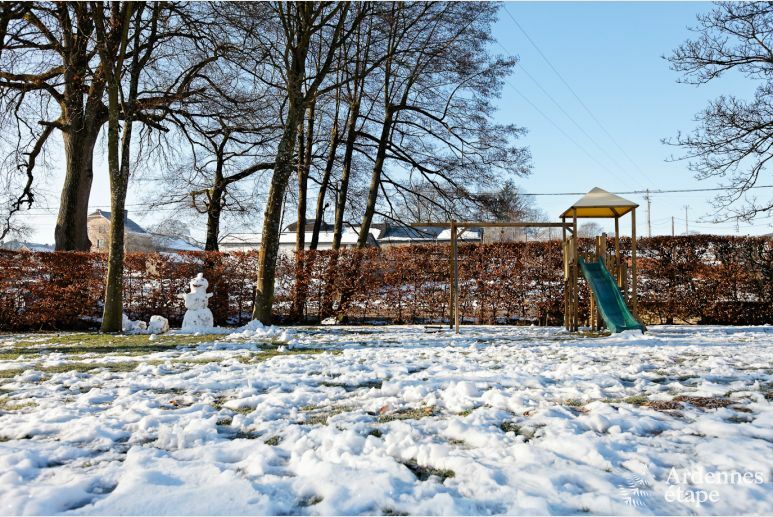 For those who like to keep active, there are also some outdoor games available; as well as a children’s playground. 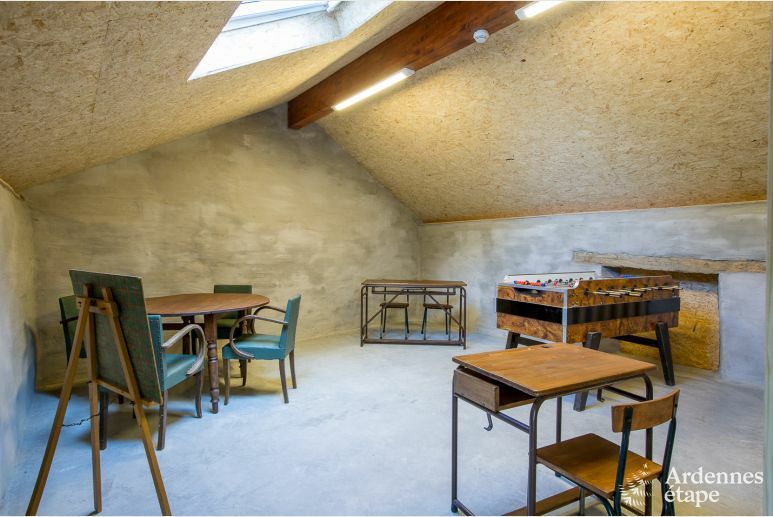 A private parking with six spaces is also available to you. 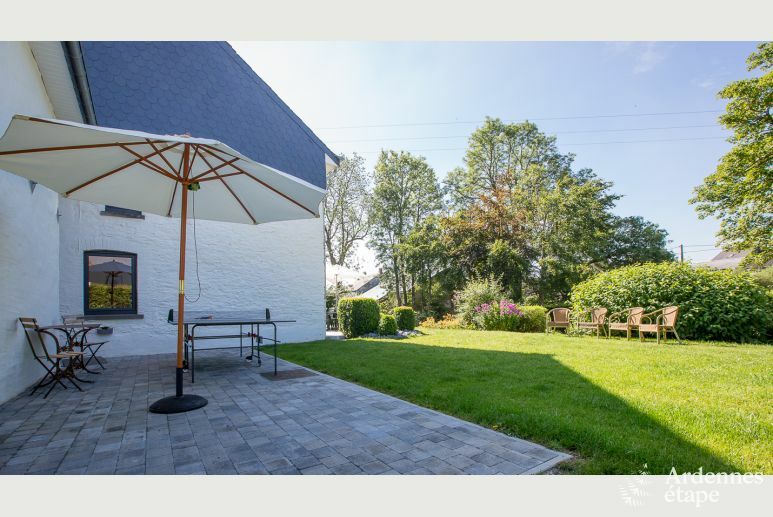 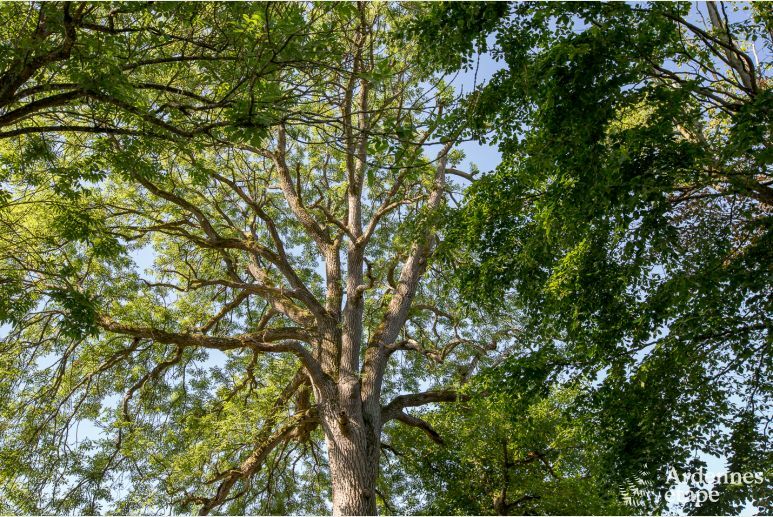 Located in Gouvy, this 3 star cottage is an ideal destination for nature lovers, who will surely enjoy the 11 nature and bird sanctuaries in the region. 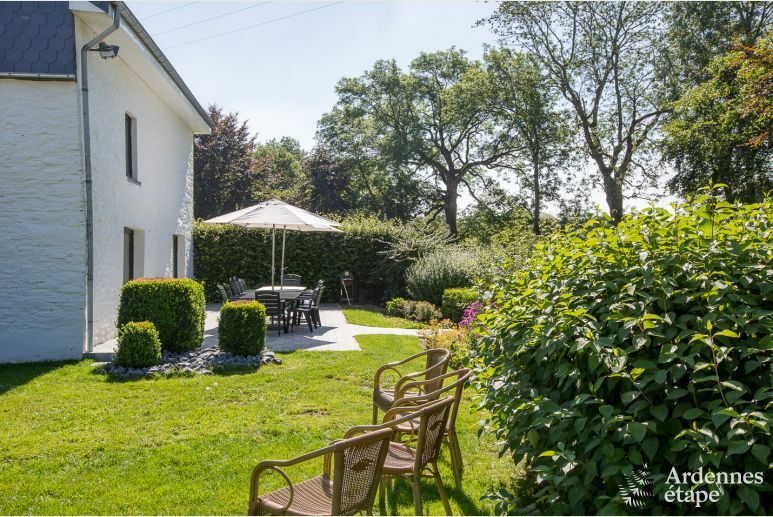 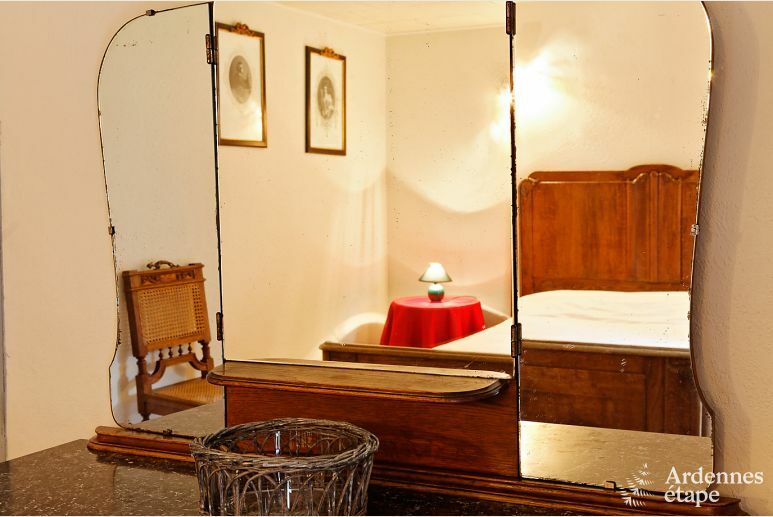 The countryside offers its very best to those who want to be seduced by the rural charms of the Ardennes. 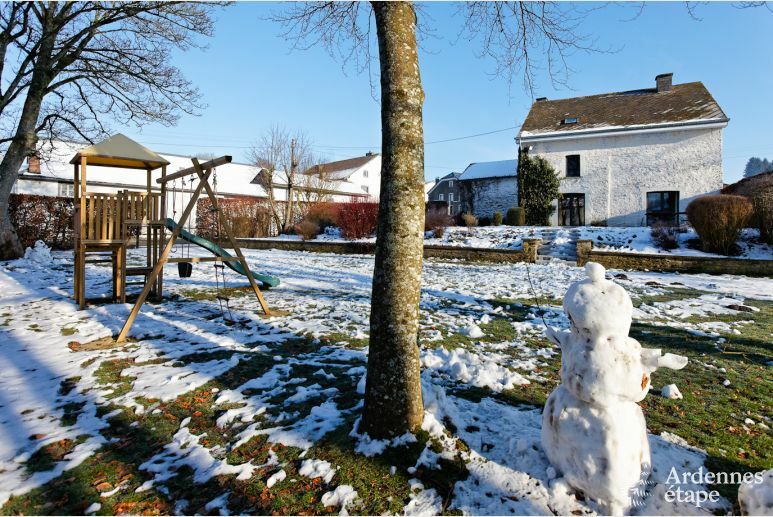 In Gouvy, you can take part in several fun activities. 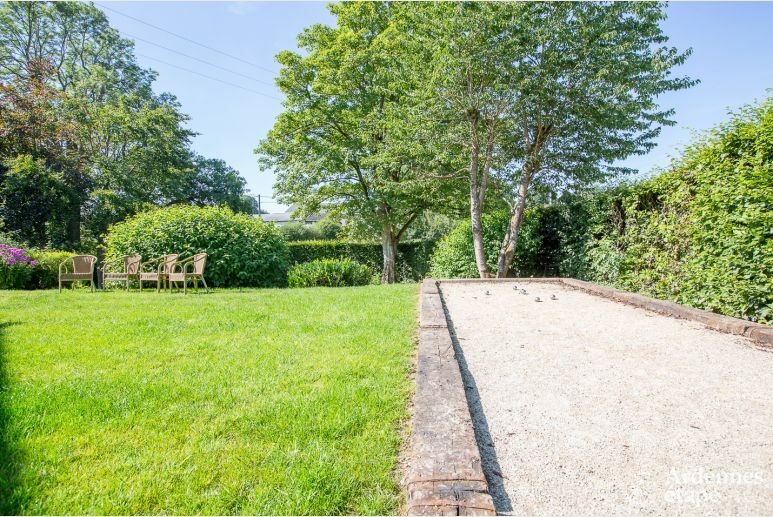 For example, at the Ferme de la Planche you can enjoy a game of farmersgolf or go for a nice walk. 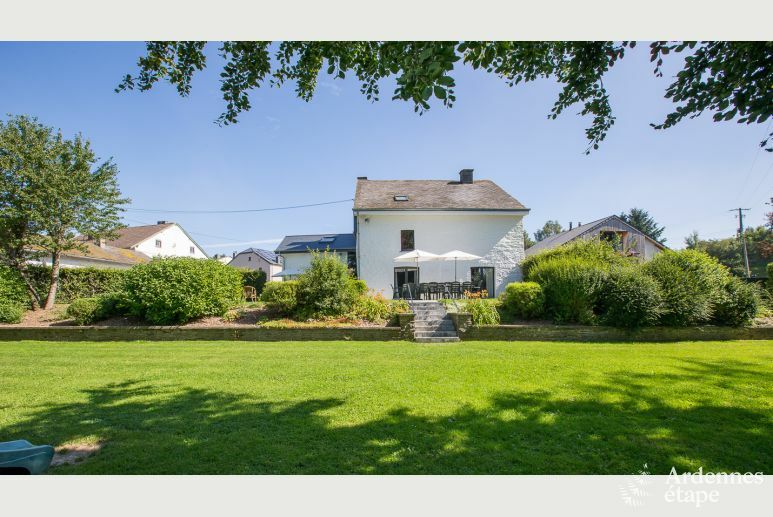 And at RHM Buitensport - La Roche-en-Ardenne you can enjoy practising outdoor activities in the heart of the Belgian Ardennes, such as kayaking, rock climbing or mountain biking. 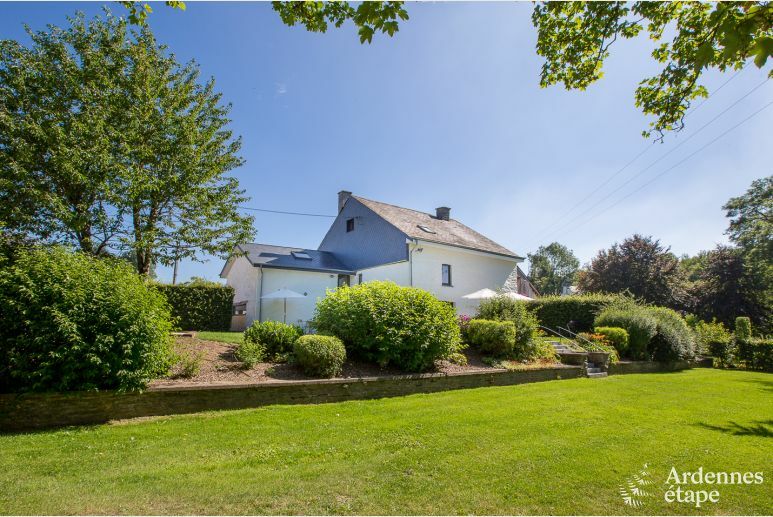 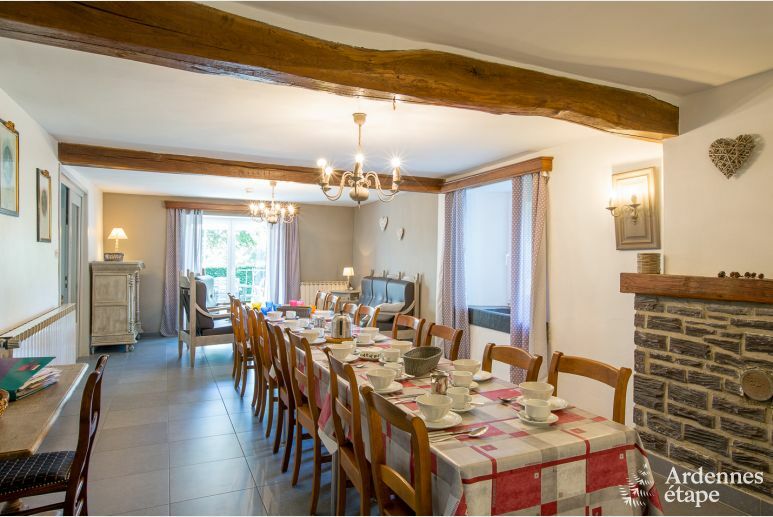 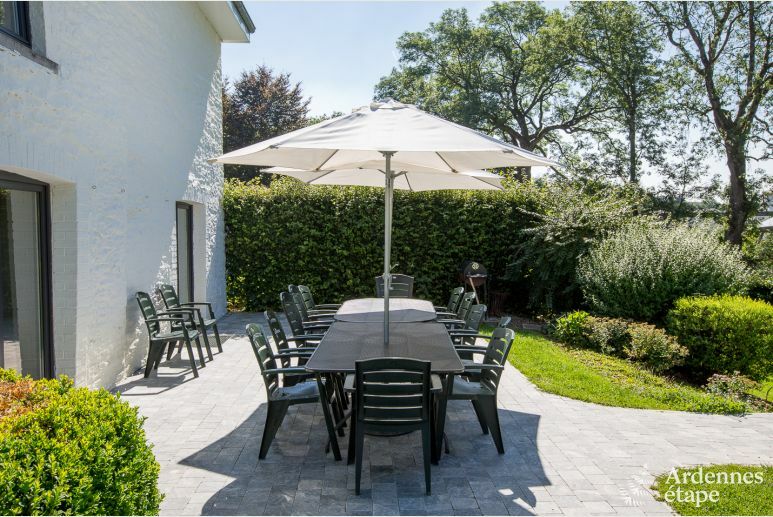 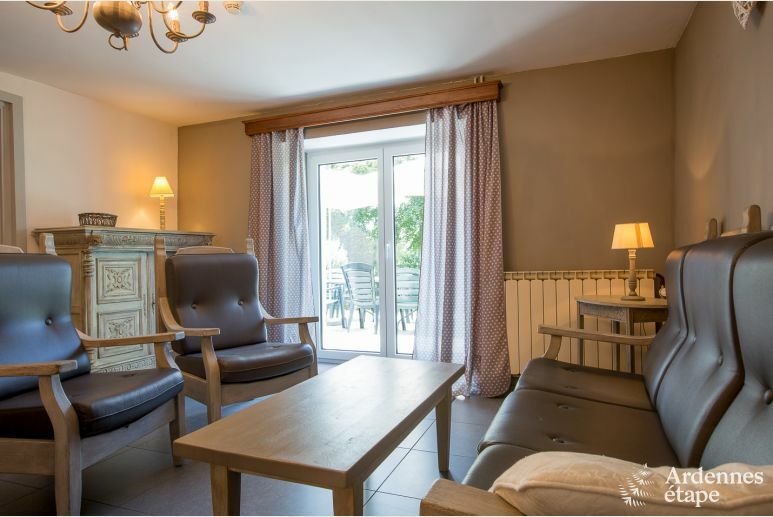 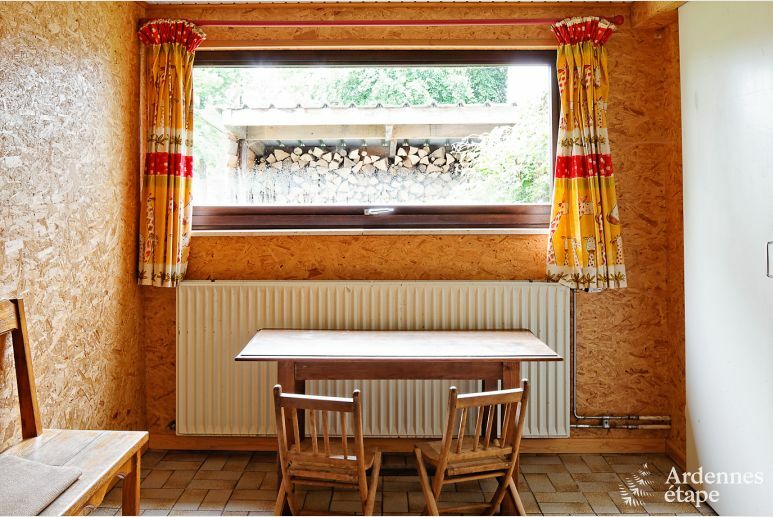 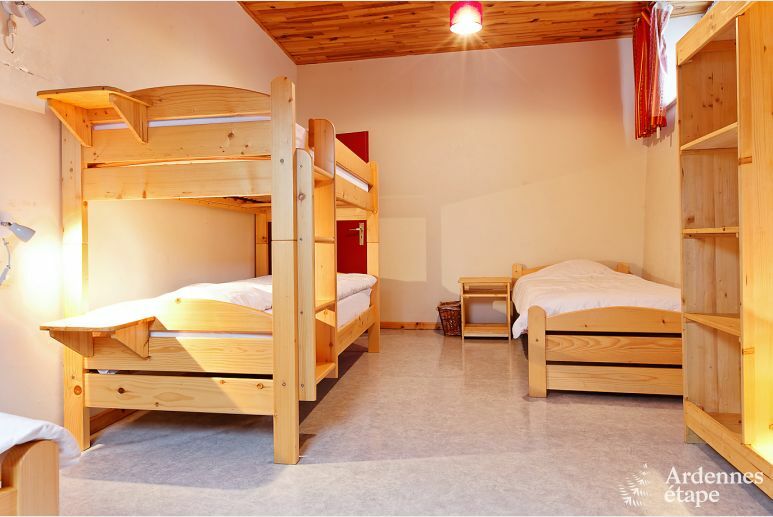 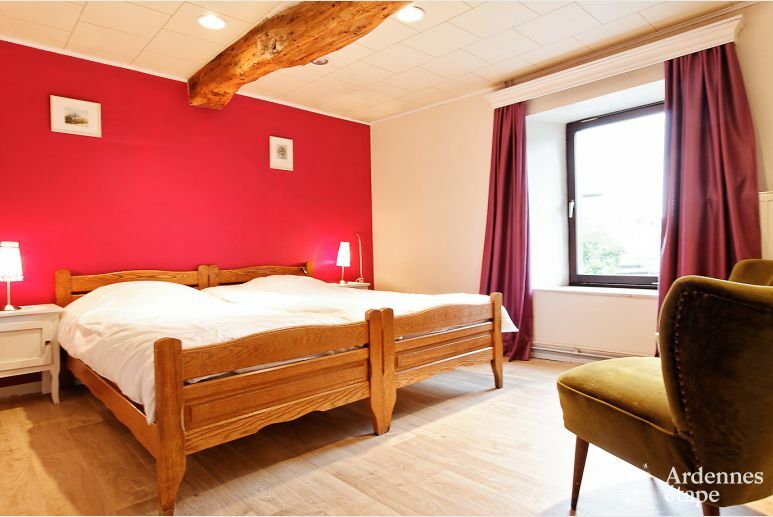 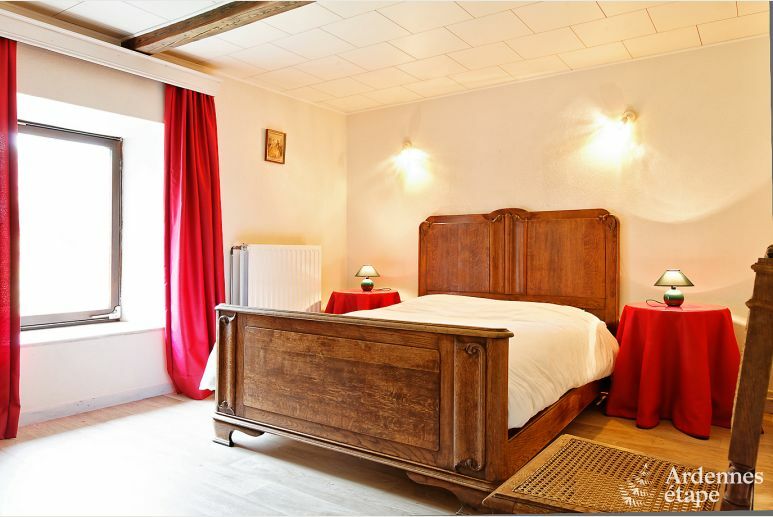 This village house is perfect for groups wishing to spend time immersed in the beautiful nature of the Ardennes. 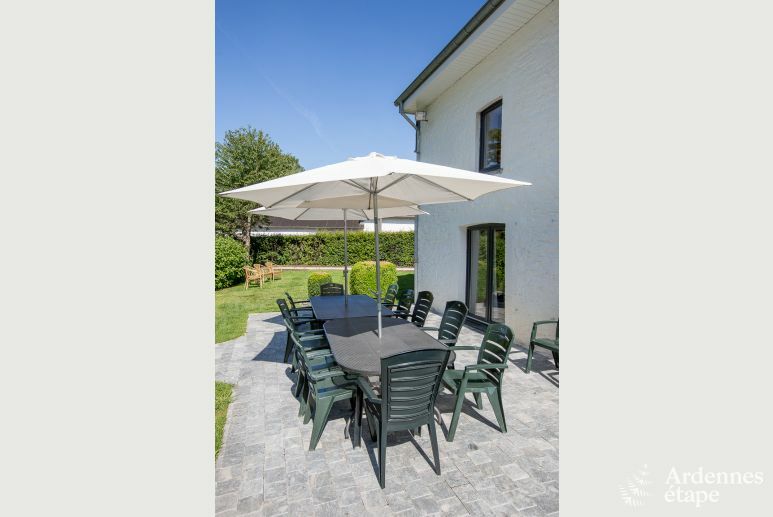 Featuring all the necessary comforts for a holiday focused on relaxation and creating fun memories, this house can easily accommodate up to 17 people and meet everyone’s expectations.